We're glad you're here! 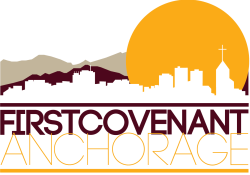 First Covenant Church is a growing and vibrant community of faith seeking to be faithful to God’s call of love and purpose for our lives. We are a diverse congregation — roughly half of our people are Alaska Natives. We are also spread over all age groups with a thriving college age ministry, many young families and singles, and a healthy number of elders. If you haven’t been to First Covenant, please come on a Sunday morning and take a look around. Our doors open early for coffee and our service begins at 10:00 AM. We believe that you will find this to be a meaningful place to worship a great God. If you have any questions, or need a ride, please contact one of our pastors here. Quyana (thank you) for checking us out! Click here to find Covenant Group Questions. 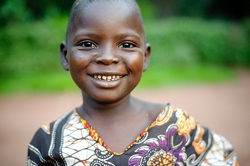 Covenant Kids Congo - Sponsor a child today! We have had a wonderful outpouring of love and compassion by families of First Covenant who have signed up to sponsor children in Congo. If you haven't but would still like to sponsor a child, you can follow this link to sign up online today! If you'd like to know more about how child sponsorship really does make a difference in changing the world, check out this article from Christianity Today.